San Gimignano got worldwide famous for its high medieval towers, wonderful example of the building customs in the late Middle Ages. 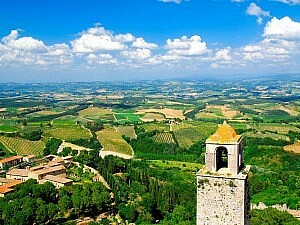 We arrange private guided tours with a local licensed guide to San Gimignano and its surroundings. 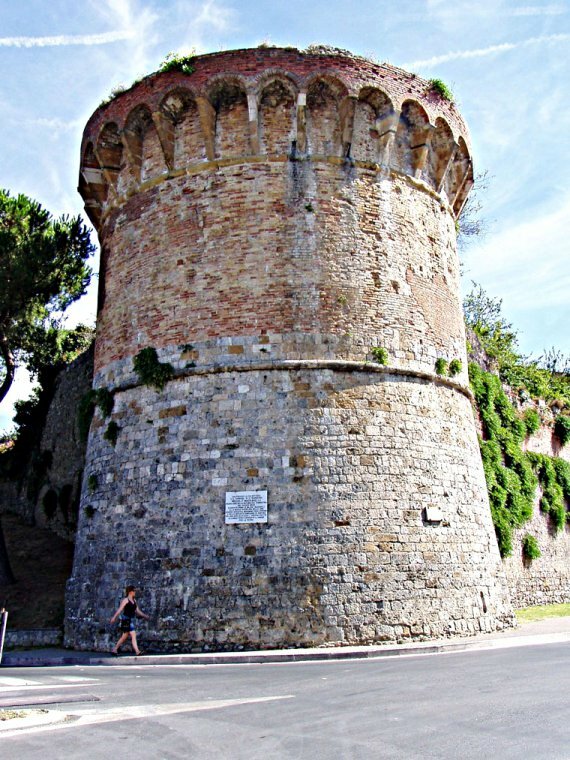 Our tours are an opportunity for you to learn how the town was such a crucial center for pilgrimages over Italy and how it got into decay after importan historical facts in the surrounding. The fantastic rural area around it make it the perfect point for trekking tours as well as for biking or Vespa routes. Our guided tours of San Gimignano include also a visit to the museum of Vernaccia, the famous DOCG white wine typical of the area around the town. The museum is open from 1st April through 1st November every year. 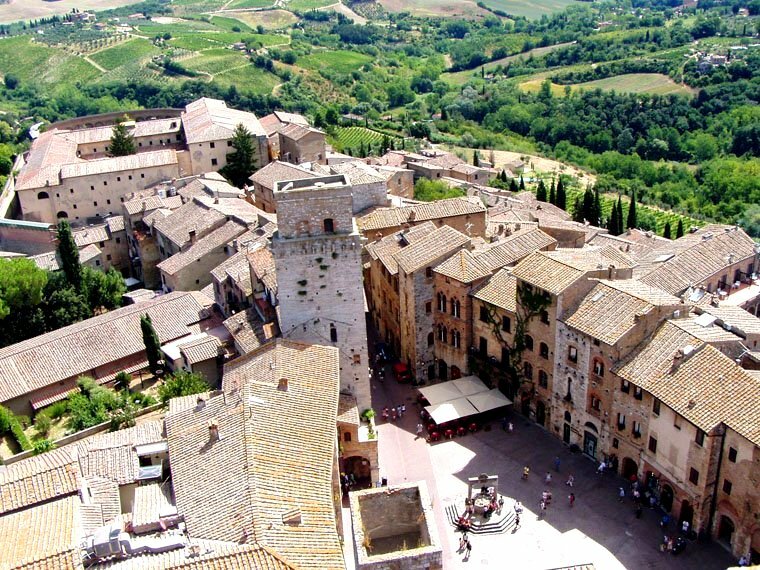 Combinations with tours to Siena or Volterra are possible. 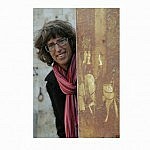 The Vernaccia museum in San Gimignano is open from 1st April to 1st November. In the off season a visit to the church of the town is included instead. This is a message we received from Betty, who visited Siena, San Gimignano and Florence and met Arianna for one of our cookery lessons. I cannot thank you enough for the wonderful experiences we had on our Italy trip. Isabelle is a fantastic guide and she enabled us to get the most out of a short journey to such historic sites. Our entire family will not ever forget our cooking class with you and Ester. I will be sure to write the reviews for Trip Advisor since that is how I found you myself. Thank you for your patience with our bad driving. I am so very glad that we eventually found you!! 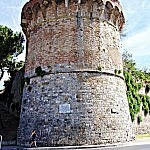 This walking tour takes place in the town of San Gimignano. The meeting point can be reached by private and public transport. 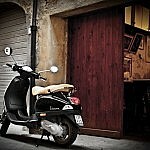 Unless differently specified, the meeting point with the guide is in San Gimignano downtown. Detailled instructions will be provided. This program takes 2 hours. Time for reaching the meeting point not included. 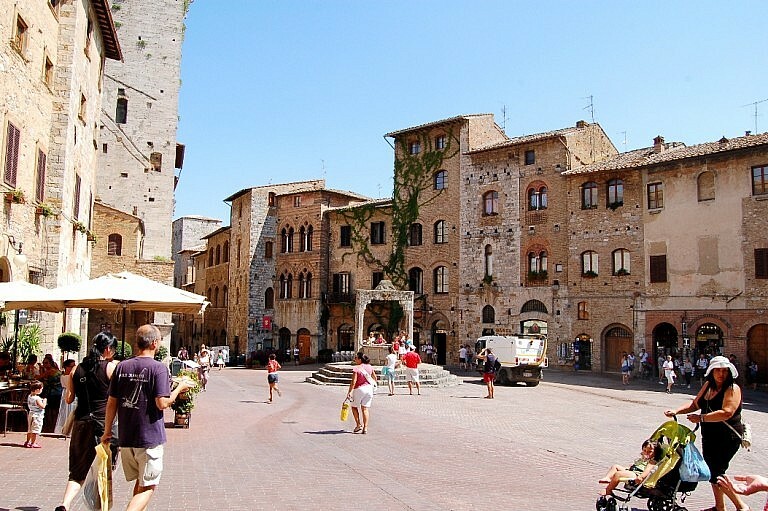 The destinations reached during this activity are in the town of San Gimignano, an area that can be reached by private and public transport. 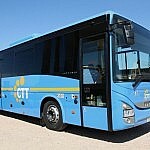 It is possible to reach San Gimignano by public bus service. The world famous “Manhattan” along the Via Francigena pilgrimage route is a stunning example of achitecture of the 13th century. Discover its fascinating history in our guided walking tours with an expert city guide and learn about vernaccia wines in a special museum.